Spark 1:18 resin model of the #10 Red Bull RB15 as driven by Pierre Gasly in the 2019 Formula One season. Spark 1:18 resin model of the #27 Renault RS19 as driven by Nico Hulkenberg in the 2019 Formula One season. Spark 1:18 resin model of the #3 Renault RS19 as driven by Daniel Ricciardo in the 2019 Formula One season. Spark 1:18 resin model of the #99 Alfa Romeo C38 as driven by Antonio Giovinazzi in the 2019 Formula One season. Spark 1:18 resin model of the #7 Alfa Romeo C38 as driven by Kimi Raikkonen in the 2019 Formula One season. Spark 1:18 resin model of the #77 Mercedes F1 W10 as driven by Valterri Bottas in the 2019 Formula One season. 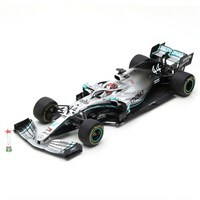 Spark 1:18 resin model of the #44 Mercedes F1 W10 as driven by Lewis Hamilton in the 2019 Formula One season. Spark 1:43 resin model of the #33 Red Bull RB15 as driven by Max Verstappen in the 2019 Silverstone Shakedown. Spark 1:43 resin model of the #7 Alfa Romeo C38 as driven by Kimi Raikkonen in the 2019 Fiorano Test. Spark 1:43 resin model of the #26 Toro Rosso STR14 as driven by Daniil Kvyat in the 2019 Formula One season. 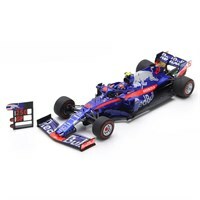 Spark 1:43 resin model of the #23 Toro Rosso STR14 as driven by Alexander Albon in the 2019 Formula One season. 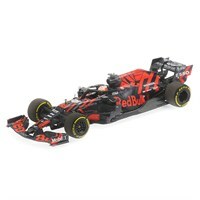 Spark 1:43 resin model of the #33 Red Bull RB15 as driven by Max Verstappen in the 2019 Formula One season. Spark 1:43 resin model of the #10 Red Bull RB15 as driven by Pierre Gasly in the 2019 Formula One season. Spark 1:43 resin model of the #27 Renault RS19 as driven by Nico Hulkenberg in the 2019 Formula One season. Spark 1:43 resin model of the #3 Renault RS19 as driven by Daniel Ricciardo in the 2019 Formula One season. Spark 1:43 resin model of the #99 Alfa Romeo C38 as driven by Antonio Giovinazzi in the 2019 Formula One season. Spark 1:43 resin model of the #7 Alfa Romeo C38 as driven by Kimi Raikkonen in the 2019 Formula One season. Spark 1:43 resin model of the #77 Mercedes F1 W10 as driven by Valterri Bottas in the 2019 Formula One season. 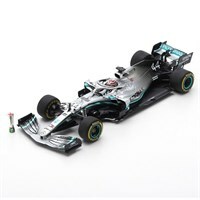 Spark 1:43 resin model of the #44 Mercedes F1 W10 as driven by Lewis Hamilton in the 2019 Formula One season. 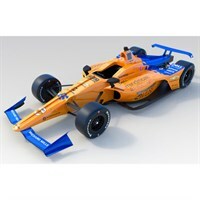 Greenlight 1:18 diecast model of the #66 Dallara IR-12 as driven by Fernando Alonso in the 2019 Indianapolis 500. 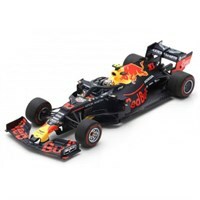 Minichamps 1:43 resin model of the #33 Red Bull RB15 as driven by Max Verstappen in the 2019 Silverstone Shakedown. 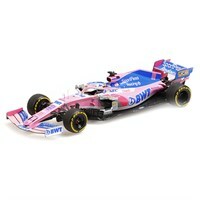 Minichamps 1:43 resin model of the #11 Racing Point RP19 as driven by Sergio Perez in the 2019 Formula One season.